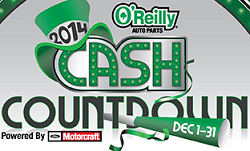 Right now you can get this great $5 off $5 purchase coupon at O'Reilly Auto Parts! There a many items that are pirced around $5 making them FREE or really cheap. Plus these items could make a great stocking stuffer. To get this coupon all you have to is enter their contest.